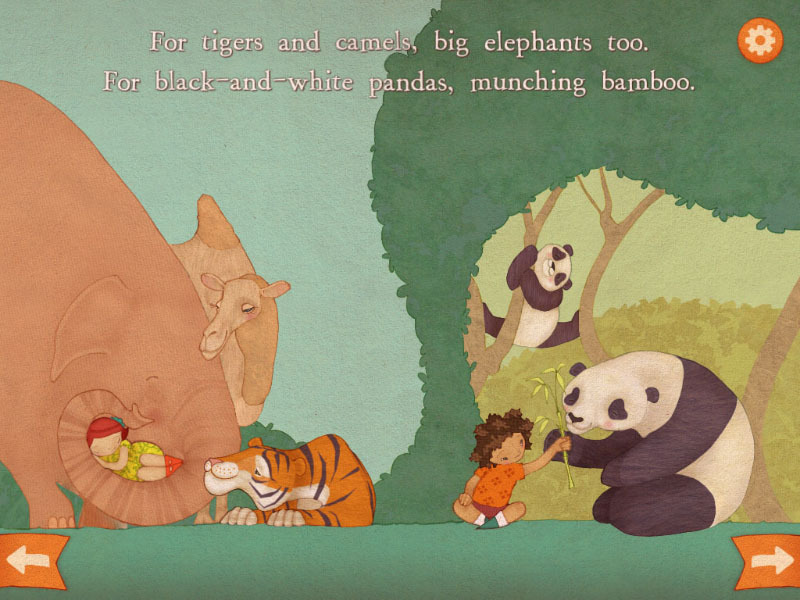 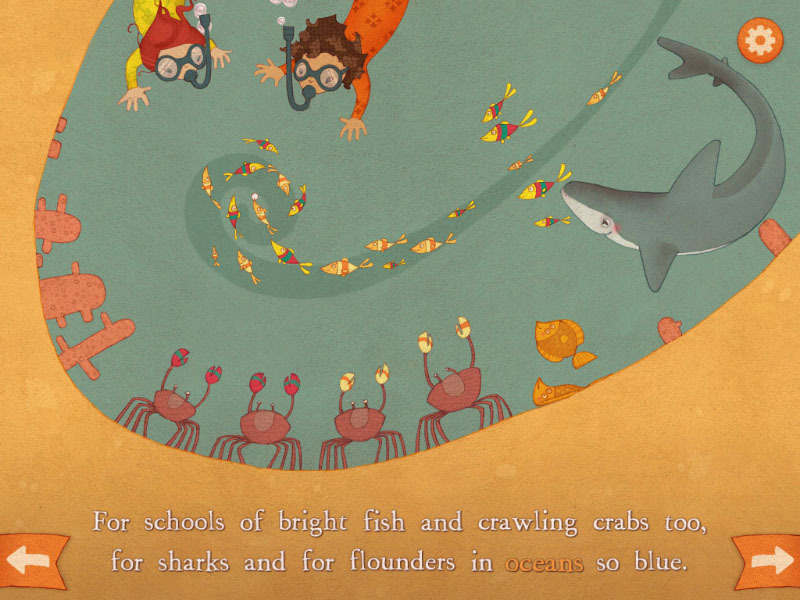 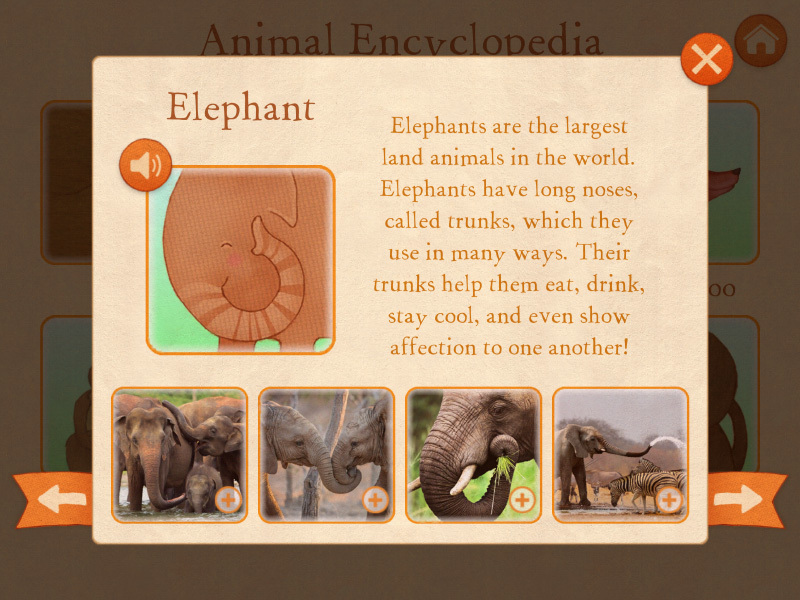 An interactive children’s book experience, now available for iPad. 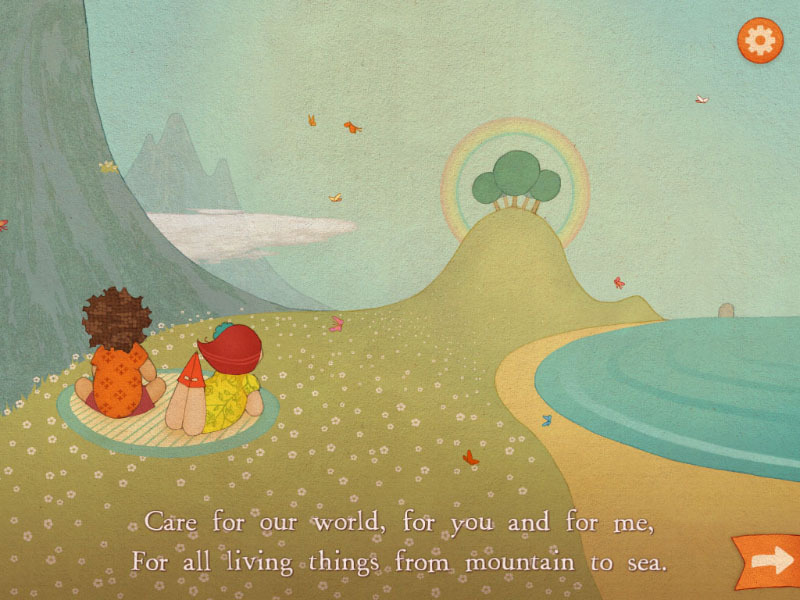 Care for Our World delivers a positive message for young audiences, a timely reminder of the responsibility every generation shares: to nurture and respect life in all its many forms. 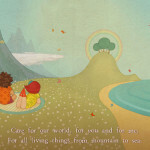 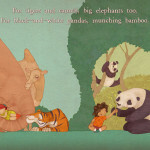 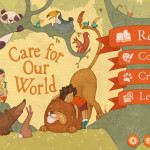 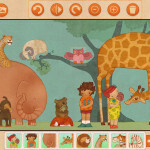 Written by Karen Robbins, illustrated by Alexandra Ball, and lovingly brought to life as an animated, narrated App experience by Sunbreak Games, Care for Our World is a charming tour of representative habitats from every corner of the world, naming the many plants and animals that we share the planet with. 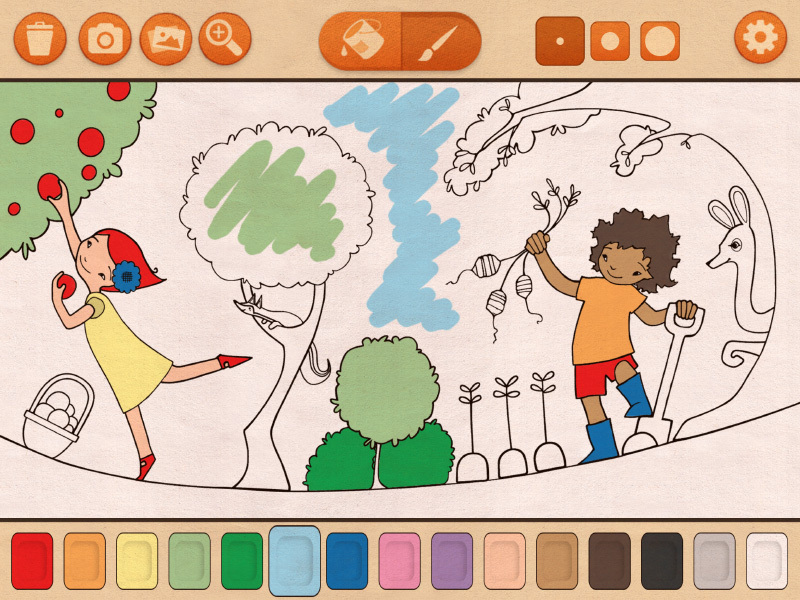 In addition to the interactive adaptation of the original story, the App contains extra activities. 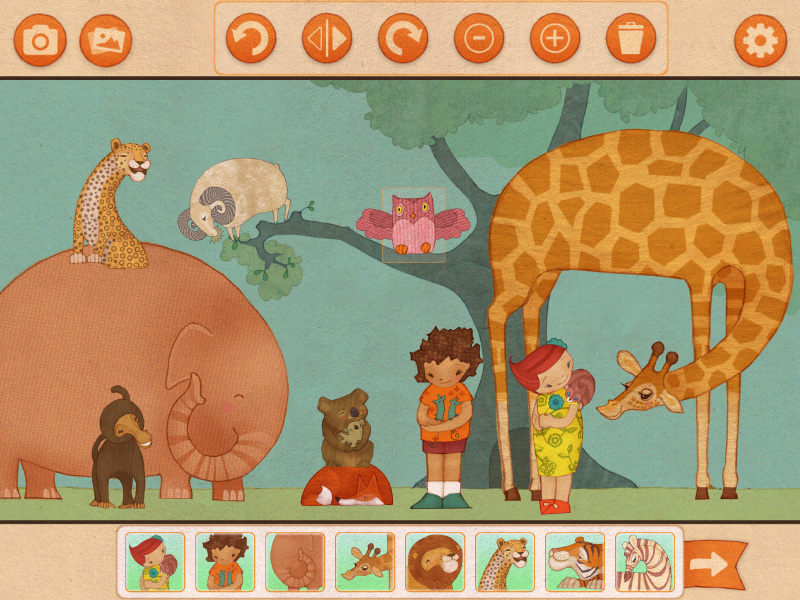 Children can Create their own custom habitats by choosing animals and backgrounds, as well as Color select pages from the book, and save images of their artwork. 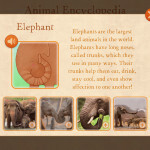 They can also Learn real-world animal facts, sounds, and photo galleries in the included Animal Encyclopedia. 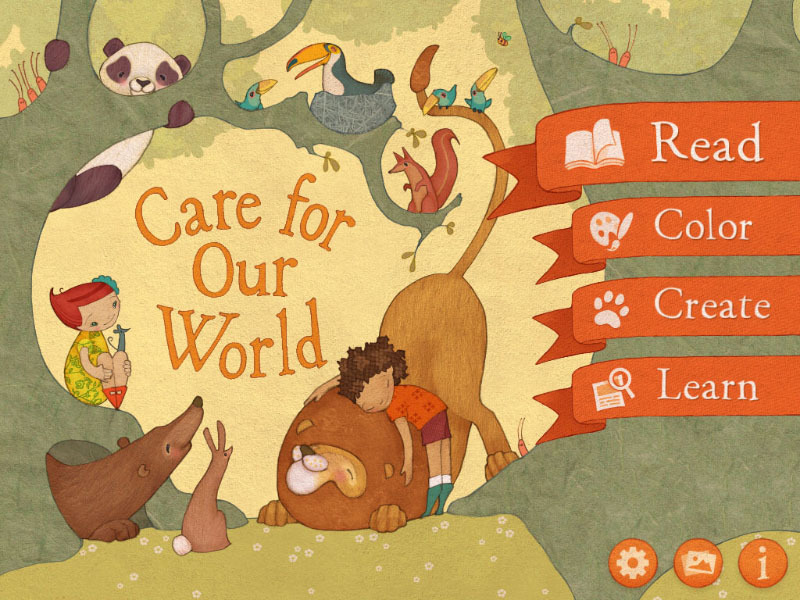 Created by award-winning composer Catherine Grealish, the Care for Our World album is 4 tracks of acoustic, outdoors-inspired music for all ages.